I love crumble-topped cakes and muffins. And although I’ve never had or heard of a cocoa crumble, I made it. I was brainstorming about this cake on a long run (I’m running a half marathon this weekend), which is where most of my recipes begin to crystallize. I had chocolate cake on my brain, and a crumble-topped coffee cake, and I married the two. The cake is an easy, no mixer cake with plenty of smooth, chocolate flavor. It’s sweet enough, but not too sweet, and can do double duty for brunch as a coffee cake or enjoy it as a casual after-dinner cake. There are two special items in the batter to help the cake develop great flavor and stay springy soft. The first is a quarter cup of brewed coffee. The cake doesn’t taste like coffee was dumped in the cake and I don’t recommend substituting for it even if you don’t like coffee. 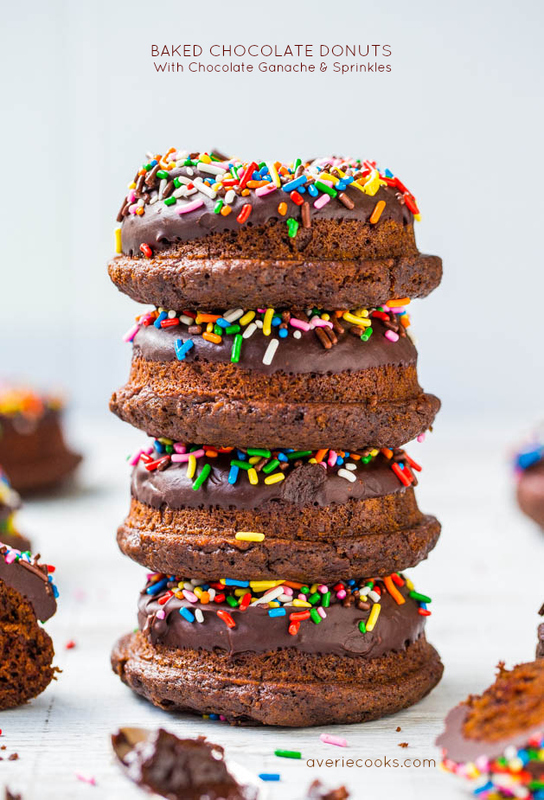 Any time you’re baking with chocolate or cocoa for chocolate cakes, muffins, brownies, or donuts, adding coffee helps to accentuate and intensify the chocolate flavor. Rarely, however, does it pack enough punch to actually change the overall flavor profile of the item. The second signature ingredient is BAILEYS® Coffee Creamers Chocolatini. It’s a creamy, alcohol-free flavor that tastes like a sophisticated chocolate martini met creamy chocolate milk. If you can’t find the Chocolatini flavor, try BAILEYS® Coffee Creamers Mudslide or even chocolate milk may be substituted. This isn’t the first time I’ve baked a cake with coffee creamer and won’t be the last. The creamer, in conjunction with Greek yogurt and a splash of oil, create a cake that’s soft, moist, and bouncey. Before baking, the cake is topped with those lovely cocoa crumbles. I had a hard time not wanting to just eat the bowl of them. 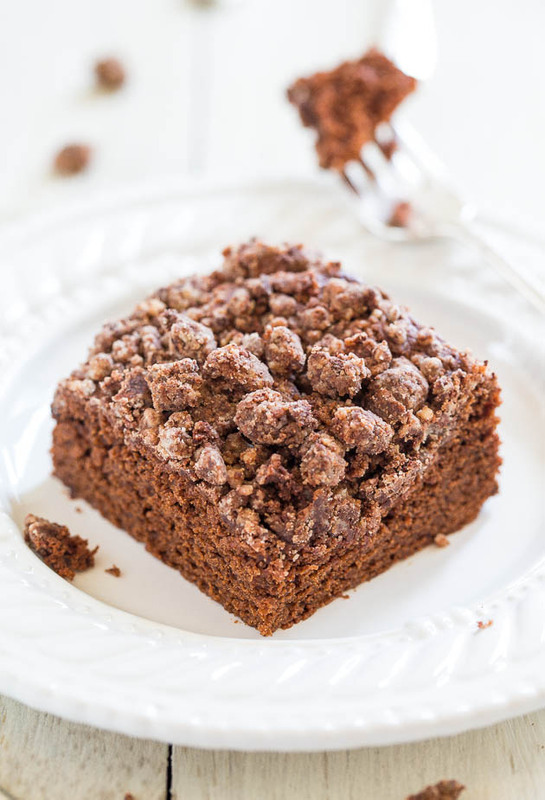 The crumbles add another layer of chocolate flavor, while also providing texture. The cake has enough density and heft to sink your teeth into and be satisfying, yet it’s still light and fluffy. And those buttery soft crumble pieces are worthy of crumble-picking. You know, going around to all the other pieces of cake, picking off that topping, and putting it on your piece. Guilty as charged. This is an easy, no mixer cake with plenty of smooth, chocolate flavor. It’s sweet enough, but not too sweet, and can do double duty for brunch as a coffee cake or enjoy it as a casual after-dinner cake. Brewed coffee helps to round out and intensify the chocolate flavor without making the cake taste like coffee, and I don’t recommend substituting for it even if you don’t like coffee. Baileys Chocolatini Coffee Creamer is a creamy, alcohol-free flavor that tastes like a sophisticated chocolate martini met creamy chocolate milk. 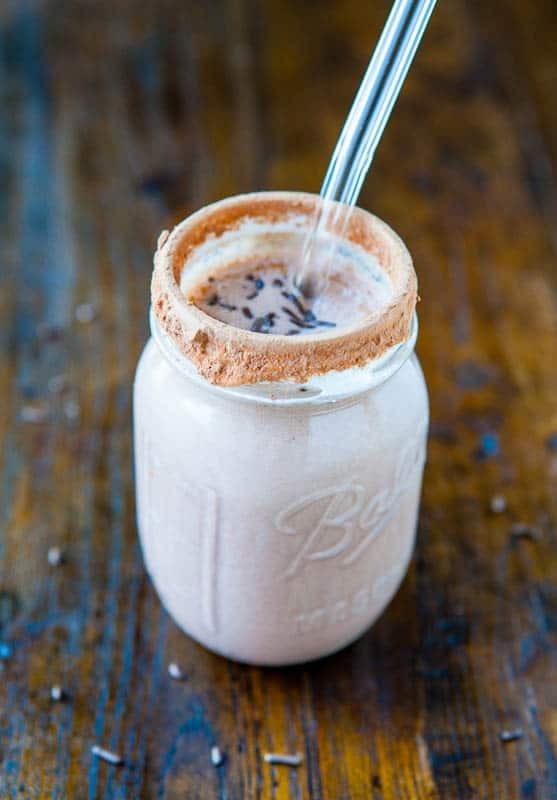 If you can’t find Chocolatini, try Baileys Mudslide flavor or even chocolate milk. The creamer, in conjunction with Greek yogurt and a splash of oil, create a cake that’s soft, moist, and bouncey. 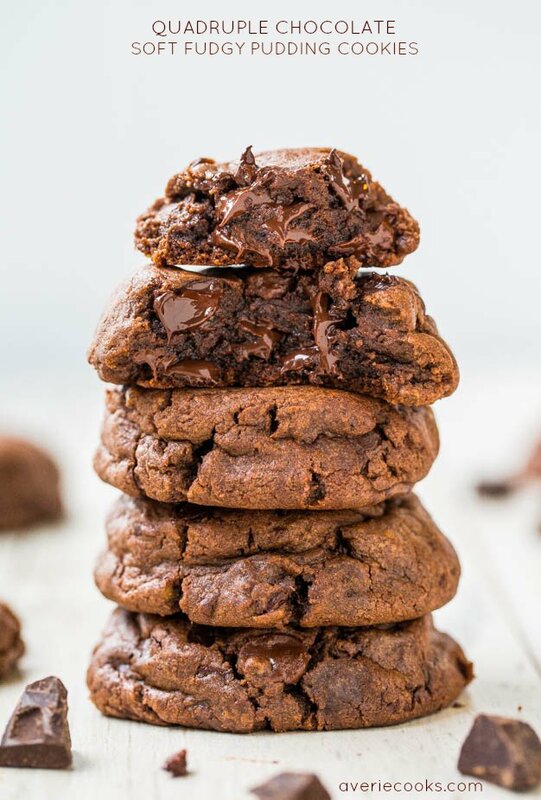 The cocoa crumble and glaze add even more rich chocolate flavor. 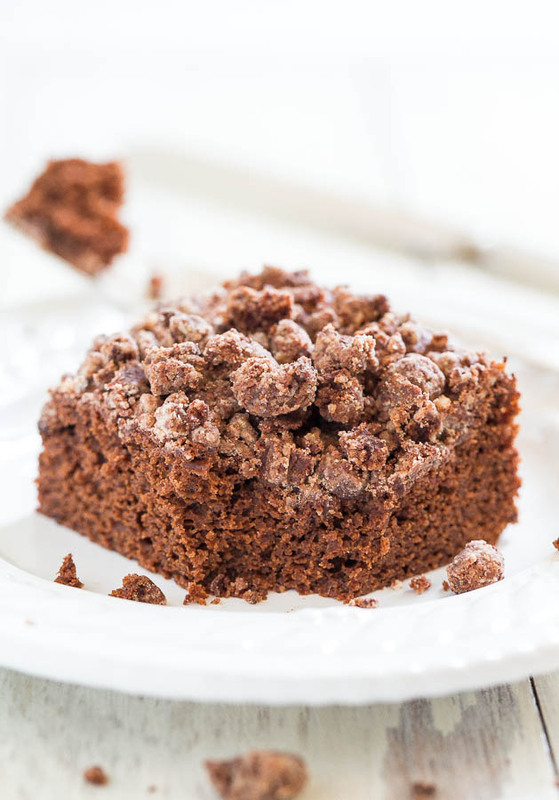 Cocoa Crumble Topping – In a medium, microwave-safe bowl melt the butter, about 1 minute on high power. Add the confectioners’ sugar, flour, cocoa powder, and with a fork, stir lightly to combine. Fluff mixture with the fork until sandy small pebbles and crumbly bits form; set aside. 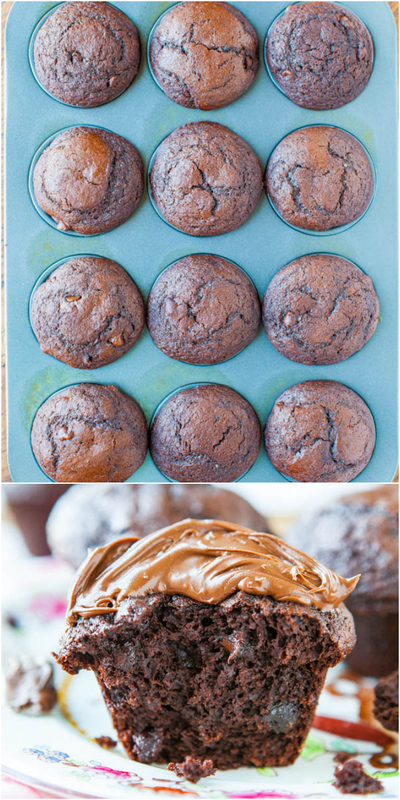 Cake – In a large bowl, whisk together flour, granulated sugar, cocoa powder, baking powder, and optional salt. Whisk well to make sure any lumps from cocoa have been stirred smooth; set aside. In a large measuring cup or separate small bowl, whisk together the egg, yogurt, creamer, coffee, oil, and vanilla. Add the wet mixture to the dry, mixing lightly with a rubber spatula until just combined; don’t overmix. Using your fingers, evenly top with the cocoa crumble topping. Bake for about 30 to 32 minutes, or until center is set and not jiggly, and a toothpick inserted in the center comes out clean or with a few moist crumbs, but no batter. Watch your cake, not the clock, and always bake until done noting that climate, oven, and exact ingredients used effect baking time. Cake may have some pits and valleys, with some sections being higher or lower than others. This is okay and happens because the crumble topping weighs down certain sections more so than others. Place pan on a wire rack and allow cake to cool for at least 30 minutes before slicing and glazing. Glaze – To a small bowl, add 2 tablespoons creamer, and slowly add the confectioners’ sugar. Whisk together until smooth. Depending on desired consistency, you may need to play with the creamer and sugar ratios slightly. Evenly drizzle the glaze over the cake before slicing and serving. Cake will keep airtight at room temperature for up to 5 days. I’m comfortable storing glazed cakes at room temperature, but if you’re not, glaze only the portion you plan to consume immediately; I don’t recommend refrigerating the cake because it will dry out. The Best Chocolate Cake with Chocolate Ganache – The best chocolate cake and the easiest to make! Nothing fussy or complicated & delivers amazing results every time! This post brought to you by Baileys Creamers. Recipe and all opinions expressed are my own. I love the addition of coffee in chocolate cakes.. Soo good! This recipes has my name all over it and I pinned it for later! Good luck on you half marathon! Thanks for pinning, Serena, and for the well wishes on my half! The crumble is the best part of any crumb cake for me. Love that it is the focus here. Pinning to try this weekend! Cocoa crumble=PURE BRILLIANCE!!! Loving this chocolatey cake! 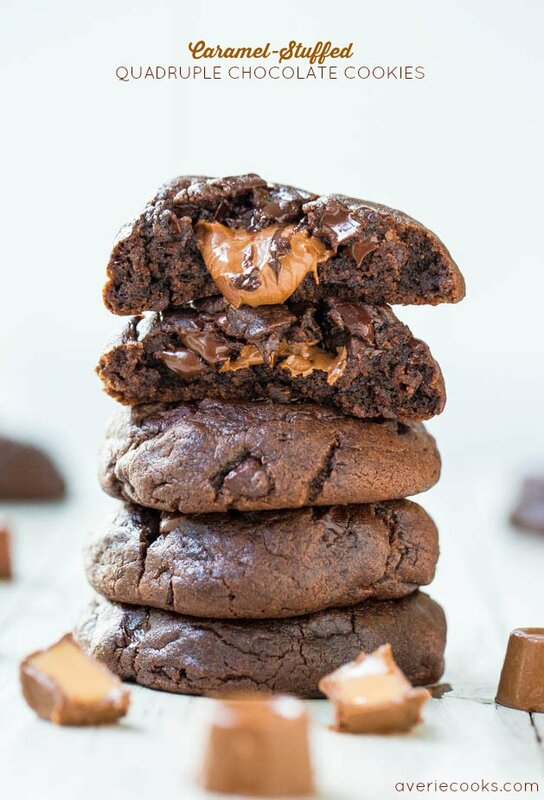 OMG, these look amazing. 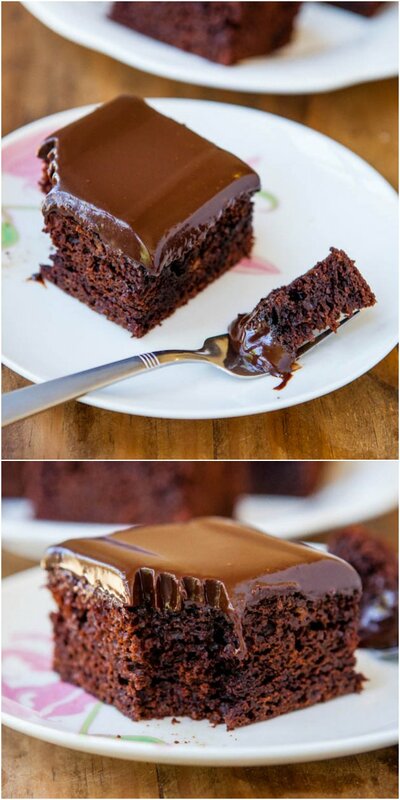 like chocolate coffee cake! This cake is everything I love!! That coffee creamer is the bomb too!! I think I would pick off each of those crumbles first, YUM. Pinned! This recipe sounds interesting. I like the idea to add a brewed coffee. I`ll give it a try. Thanks for sharing. Pinned. Thanks for the well-wishes and I run about 6-10 miles a day so my half should hopefully go pretty well, fingers crossed. Commuting time is a great time for ideas, too! OMG!!! Just when I thought that this cake couldn’t get any better, you added the cocoa crumble! You are a real GENIUS! loving these!!!! You rock! I can’t wait to hear about this race. I think anything with a cocoa crumble would help my motivation, that’s for sure! ;) Man, this is all I’ll be able to think about … chocolate, coffee, crumble, like, pass me the pan and the fork, pleaseandthankyou! I just made this substituting Baileys Mudslide and regular vanilla yogurt (can’t stand Greek, even in baking). I don’t drink coffee so I had to swipe some leftover coffee from work. Didn’t have a cup so I took it home in a ziploc bag, ha. OMG, this cake is SOO good. It’s got a great texture, not too dense, and I love the glaze. My mom liked your Sweet Cream Cake but she likes chocolate more, so she’s going to LOVE this. So easy to make and so delicious. 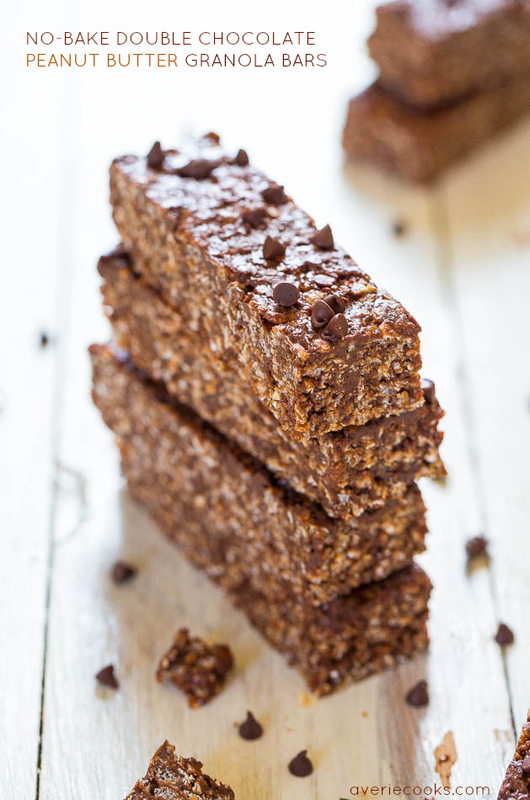 I’m adding this to my recipe box and making it again for sure! 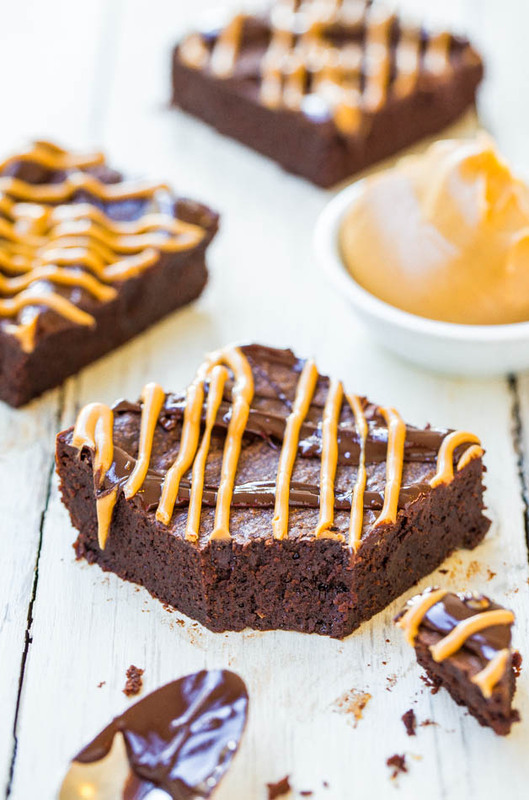 Thanks for trying this cake, and for working with what you had on hand and kudos to you for transporting coffee home in a ziplock – wow, bold move!! So glad you love the cake and that you also tried and loved the other Sweet Cream Cake. That’s awesome to know! You ever see something and then think, “wow I wish I thought of that” Yea, that’s how I feel with this cake! I love a chocolate cake and to add a cocoa topping… pure genius! And thank you for stopping by! Everything you make is just so good looking! YESSSSSSSSSS!!! I’ve been waiting and waiting and waiting like a 5-year-old waiting for Santa on Christmas Eve for this cake!! Ever since they gave it to us in Miami, I’ve been watching your blog to see when you posted it. 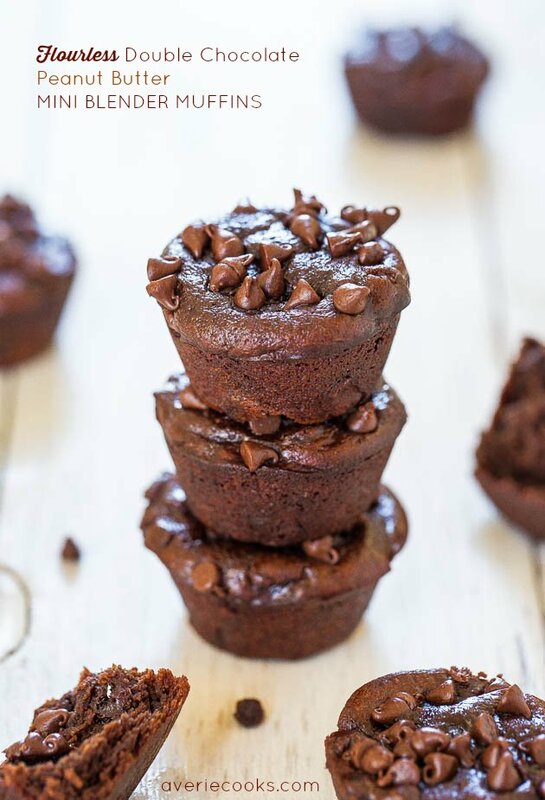 I can personally vouch that it’s 200% worth every single chocolaty calorie — SO good! 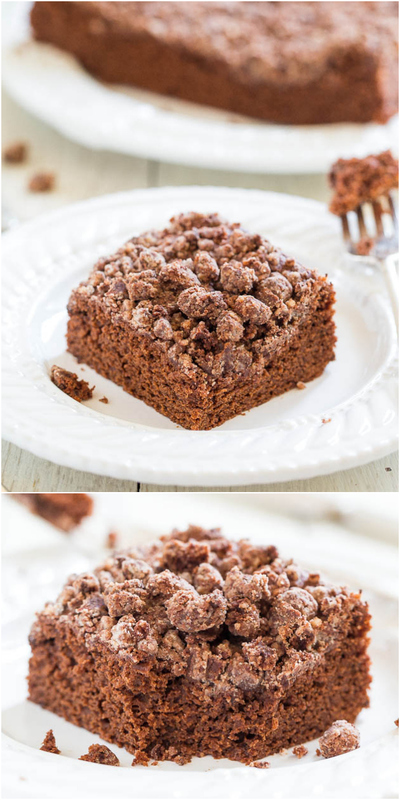 I hadn’t heard of a chocolate crumb cake before either, but I think it’s positively genius. 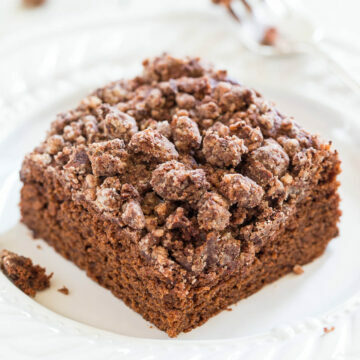 Chocolate and crumb toppings are two of my favorite things! 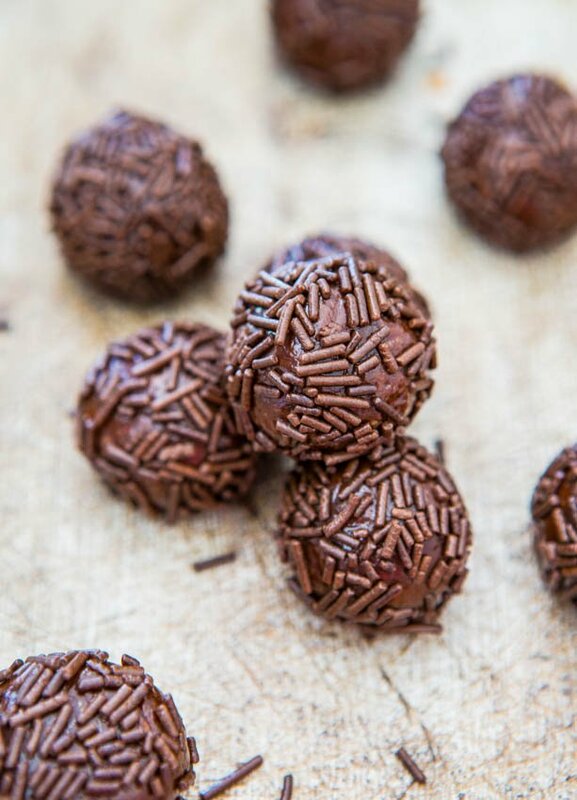 :) Thank you for creating this recipe and making Miami one of the sweetest, chocolaty-est vacations I’ve had in a long time! Thank you for all your great comments today and thanks for trying this cake at BlogHer! And that’s so awesome that you can vouch for it. Thank you, Amy! Cocoa crumbs for the win!!! Ermagawd Averie, they look and sound so delicious. I just want to make pans and pans of cocoa crumbs and just eat them as is (although I would never turn down a slice of this fabulous mocha cake). Oh man – that crumble topping is GLORIOUS! I’d totally pick that off first before digging right into the cake. And mocha cake is my favorite. When I was a kid, I would ALWAYS request a mocha cake for my birthday cake each year! 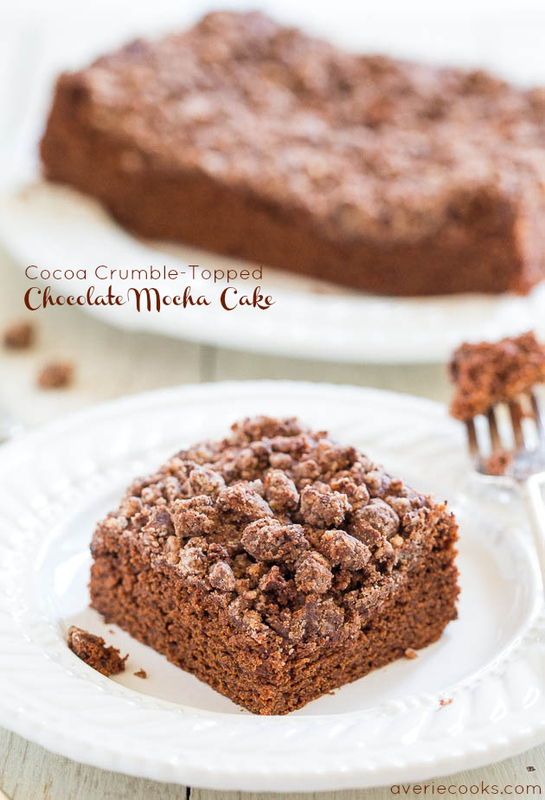 This looks amazing and I think I would have to make a double batch of that cocoa crumb topping and nibble away! How did the Rock and Roll Marathon go? I had a friend run the half, too. I live here in beautiful San Diego as well. With all of your amazing desserts I was wondering how you stayed in such great shape – Running! Run went great and thanks for asking! Didn’t know you were a local, either! I made this for Easter dessert and it was a hit with the family. Only had a 9×9 so I used that and cooked it about 29 minutes. Thanks for the recipe. Thanks for trying the recipe and so glad it was a success and that a 9×9 did the trick for you!